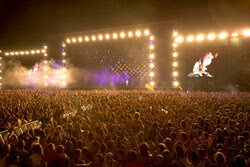 THE FESTIVAL AREA: WHY MILAN? From highway A8 for Varese-Como, before the Milano Nord turnpike, exit at Fiera Milano. From the city rail links (Milan city route): Varese-Gallarate-Pioltello S5 line and Novara-Magenta-Milano-Rogoredo S6 line, get off at Rho-Fiera. From the Stations of Milano Centrale, Milano Porta Garibaldi, Milano Lambrate: green metro line MM2 for Abbiategrasso; at the Cadorna stop, take the red metro line MM1 for Rho-fieramilano, get off at Rho-fieramilano. From the Milano Nord Cadorna Station: red metro line MM1 for Rho-fieramilano, get off at Rho-fieramilano. A shuttle bus services connects the trainstation of Rho with fieramilano. The choice of moving the event to the Rho Arena (MI), explained the Mayor of Milan, Pisapia, is tied to the next EXPO. The aim is to create a Milanese musical hub for the upcoming EXPO to then keep and continue it for subsequent years. Also this year stands for all-day entertainment will be arranged inside the Expo area, such as the EXTRA COLD TRUCK who will provide an area with a set temperature of -8°C where visitors can enjoy some freshness during this hot month. 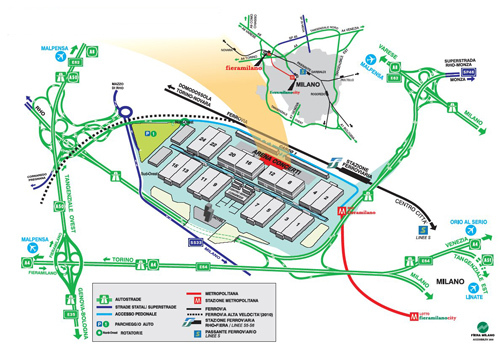 With regards to logistics buses will have extended working times in order to come and go from the HJF area therefore visitors won’t have to use their own cars. 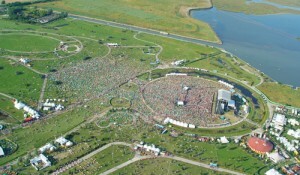 There’s also the chance that a campground will be arranged inside the Festival area. 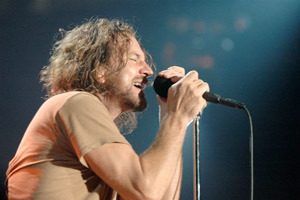 The schedule of events of the most famous rock festival in Italy seems to be very interesting this year. We’re talking about the Heineken Jammin’ Festival 2012, that this year will be held in Milan – Rho from the 5th to the 7th of July. We’ve got: Red Hot Chili Peppers, The Cure, The Prodigy, Pitbull, Noel Gallagher, Evanescence, New Order and the Gorillaz Sound System. 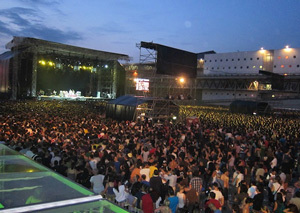 All concerts will start around 3 p.m. and continue until 11.30 p.m. with the exception of the Gorillaz Sound System. Their concert will be a Late Night Show, from midnight until 2/3 a.m. 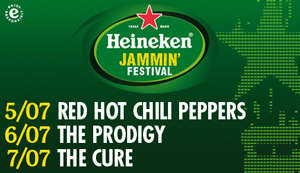 The lead acts for the 2011 Heineken Jammin’ Festival have finally been announced: 9th June COLDPLAY, 10th June NEGRAMARO and on 11th June VASCO. As in past years the kermesse musical event will take place in the striking location of Parco San Giuliano, a large green space over looking the Venice Lagoon. Let’s go through a brief revision in order to understand clearly how a day/night at the Venice Heineken Jammin Festival will pass. The gates of the Park open at 10.00 a.m. Those who want to stay in the first row should go there at that time in order to enter at once and get the best places. 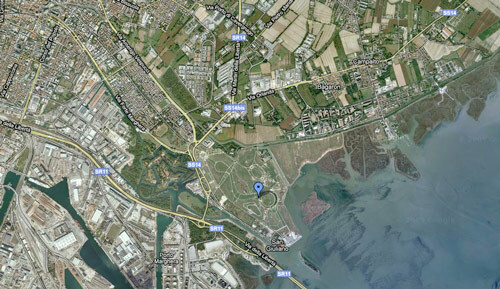 Getting to Mestre is very easy by taking the Milan-Venice motorway from any point. Once you have left the motorway (Venice is just at the final tollgate of the motorway), following the signs quickly reach the concert area, i.e. San Giuliano Park. 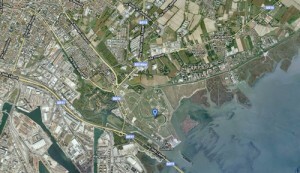 There is also the LINK ROAD of MESTRE, which has just been opened. Motorists coming from the Brenner Pass, from Milan or from Bologna and bound for Marghera, Mestre, Venice city or the beaches of the Venetian coast can pass on the highway axis Padua – Mestre – Western By-Pass of Mestre – Motorway Junction Marco Polo, or else follow the stretch of the NEW LINK ROAD OF MESTRE (opened on February 19th 2009, crosses Spinea, Martellago and Preganziol), which definitely allows saving a lot of time, thus avoiding the well-known traffic on the by-pass. Albergo Marin is located in the historic centre of Venice, in a very quiet location, less then five minutes’ walk from Venice Railway Station – Santa Lucia and just a few steps from the car terminal of Piazzale Roma, from where you can easily reach the airports of Venice (Marco Polo) and Treviso. 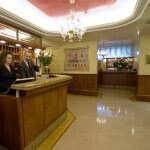 Easily accessible by car, Hotel Ducale offers – besides a free car park – to all those who book on-line directly from this Website, a shuttle service free of charge from the Hotel to Venice International Airport Marco Polo. Links for Venice – Piazzale Roma, the Railway Station of Venice-Mestre and the famous Port of Venice are very convenient. 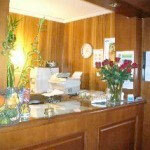 Hotel Da Vito is located just a few steps from Valle Averto and the incomparable beauties of the South Lagoon. It lies in close proximity to the mouths of the Brenta River and its well-known Riviera, overlooked by several Venetian Villas. It is also just 15 Km away from the historic centre of Venice, which is easily accessible by car, by bus or using the transfer service organized directly by the Hotel. Located just near the Grand Canal, yet easy to reach, our hotel is situated in one of the city’s most lively districts, Cannaregio, with its Lista di Spagna and the Strada Nova. A few steps from the Railway Station S. Lucia. It is not your usual kind of hotel, but it offers all the 4 star hotel amenities with the privacy and discretion of an appartment with a private entrance; studied in detail to please even the most demanding clients, who are looking for an hotel where they feel at home. 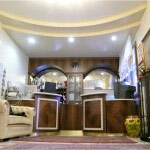 The hotel has 77 rooms, measuring 30 to 40 sq.meters, soundproof and with all of the most advanced comforts. With a friendly and essential atmosphere and the best conveniences and services of a 2-star hotel, the Piccolo Hotel is an excellent solution for tourism and business travel in the Mestre and Venice areas. The staff is always available to provide useful information for your visit to Venice and surrounding areas, to book transfers from and to the airport and other places or to schedule excursions and guided tours.